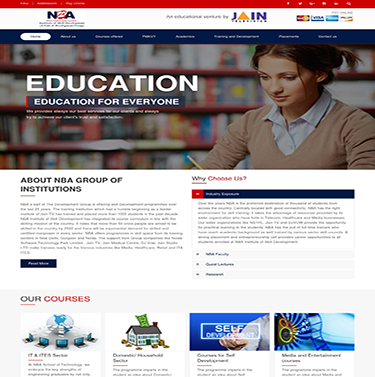 Delvetech understands e-business and can help customers in Transportation to achieve their business objectives..
NBA Institute of Skill Development has integrated its course curriculum in line with the skilling mission of the country. The most important person in everyone’s life must be our mother who carry us for about 9 month without a single sigh. They are the one who give birth to us without complaining about all the pains they have been through. The objective of ensuring livelihoods of poor people by providing developmental services, particularly through natural resource managment & Skill Development Programme, Empowering, Youth & Women etc. 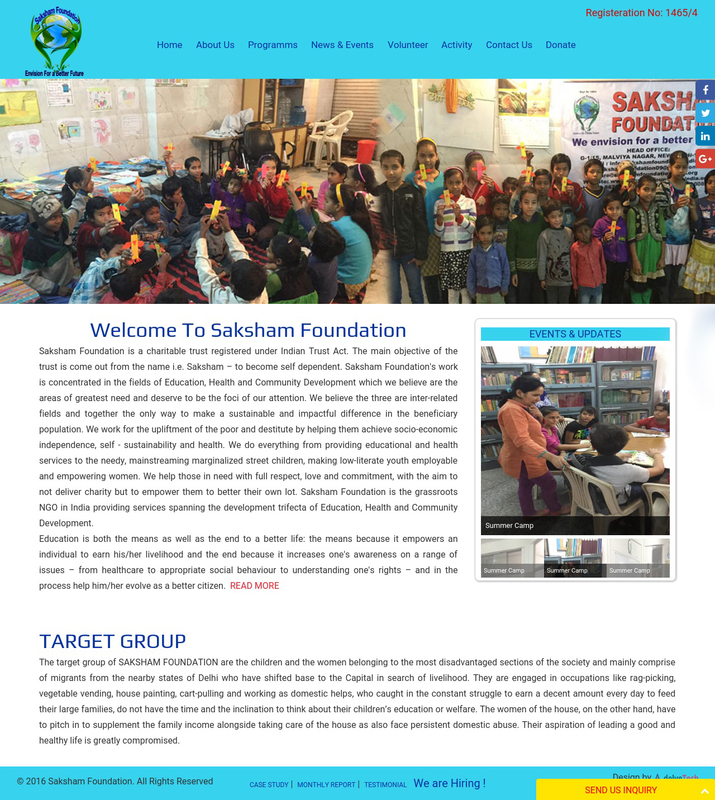 SAKSHAM FOUNDATION is a charitable trust registered under Indian Trust Act. The main objective of the trust is come out from the name. Manovriti facilitates these individuals to shatter such confines by providing them education and training to develop skills.